Showcasing some of the biggest music acts for almost 50 years, PizzaExpress has hosted a diverse mix of live performances including the likes of Amy Winehouse, Jamie Cullum and Norah Jones. 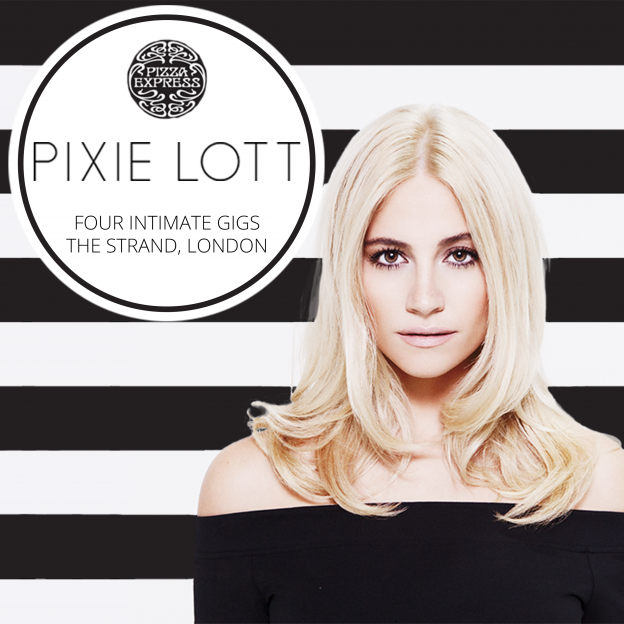 Now, Pixie Lott, one of the most exciting names in pop, will perform at PizzaExpress’ most intimate music venue at London’s Strand. Following her show stopping performances on this year’s Strictly Come Dancing, which cemented her reputation as a natural performer with a hugely broad appeal, Pixie will bring her dazzling set to this 300 person venue. Showcasing all her hits, this is a rare chance to watch Pixie close up. A variety of ticketing options are available including Premium Seating and Standing. A wide range of PizzaExpress’ most popular dishes will be available to order as well as drinks and cocktails. Tickets do not include food or drink. Early booking is strongly recommended.